Pacific International Academy (PIA) has found a new home in Portland, following the unexpected decision to close Marylhurst University, where it was located for over 20 years. 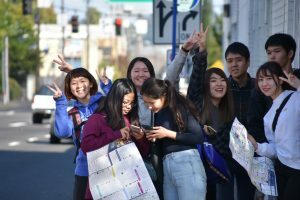 PIA, a nonprofit English language school for international students, launched its fall term on October 1 at Warner Pacific University, marking an exciting new development for two institutions that have shared values around multiculturalism and service. Warner Pacific has long been recognized for its commitment to diversity and was recently ranked #1 in “Ethnic Diversity in the West” by U.S. News & World Report. Warner Pacific is excited to welcome international students from PIA to its campus community. Together, PIA and Warner Pacific will contribute to a multicultural learning environment for students from both institutions.